We would like to invite to you to participate in the 15th session of the GRONEN Reading Group (GROReG). GROReG is the platform of the GRONEN network to discuss papers that are at advanced stages in the revision process. The goal is to help scholars from the field to publish their work on sustainability-related topics in high quality academic journals. The next GROReG session will be held on Thursday, 20th of June 2019 hosted by IESE in Barcelona. Spain. The half-day event with about 10 participants will start with a lunch and host the discussion of 2-3 papers. Each paper will be assigned to a one hour time slot. After a brief presentation (15 minutes) of the main challenges regarding the revision process of the paper by the author(s), a discussant gives her/his view before the general discussion is opened. 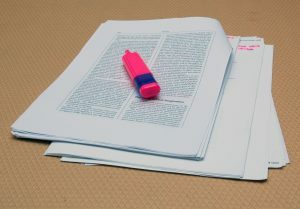 Participants receive the papers as well as the review reports and the editorial letter before each session and are expected to have read these documents beforehand. The focus of the discussion is how to deal with reviewer and editorial comments to improve the papers and increase likelihood of acceptance of the papers. GROReG sessions are characterized by a non-competitive, constructive working atmosphere with the aim to help each other with the development and publication of papers on sustainability-related topics in high quality journals. We hope you will be part of this initiative and look forward to seeing you at our next session in Barcelona!